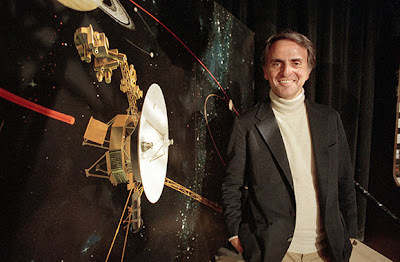 Wired has a gallery of Voyager photos up today that includes some Sagan material. There are some truly wonderful shots that I had never seen before. 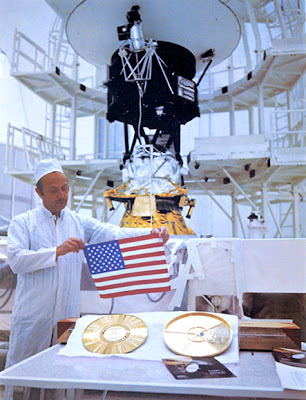 Voyager project manager John Casani displays the “Sounds of Earth” recording shortly before launch in 1977. The 12-inch gold-plated copper phonograph record was intended to serve as a time capsule that could communicate the story of Earth to extraterrestrials.